The recently signed African Continental Free Trade Agreement (CFTA) is one of the world’s largest free trade blocs and there are a number of reasons to be excited about this development. From a demand perspective, the continent‘s market will grow to over 2 billion people by 2030. Meanwhile, from a supply side perspective, the agricultural and agribusiness sector is expected to grow to US$1 trillion by the same period, a projection that had already excluded the impact of the consolidation of the continent’s market. Moreover, the fundamental reason why private sector participants ought to be excited in the wake of the CFTA, over and above the projected growth of the supply and demand side of the food and fibre sector is what they call “regulatory convergence”. If under a worst-case scenario, Africa fails to capitalize on the growth of its own market growth for one reason or the other, we can draw optimism from the harmonization of trade and investment rules. That alone provides a sufficient basis for the continent’s food and fibre sector to be growth-ready, as and when market conditions and factors permit for the industry to capitalize on. It may sound counter-intuitive for one to be excited by the state of readiness of an outcome, rather than the outcome itself. But such a level of ambition becomes plausible if you have a situation where the infrastructure, institutions and systems are not sufficient to provide the initial conditions for growth to take place. At this stage, it is the pre-conditions that matter the most, rather than prematurely induced trade growth – which in all likelihood, will lead to inequitable growth. Perhaps, for now, Africa needs to make every effort to negotiate and strengthen its own “rules”. At least this part of the debate speaks to a broader global trend of plurilateral trade agreements, which are based on “rules”. Many experts have argued that part of the reason why Africa’s ambition has not matched that of other advanced nations of the world is due to its reluctance to negotiate third generation issues such as trade in services. South Africa’s Minister of Trade and Industry Dr Rob Davies had noted that the continent is simply not ready to start opening up markets – especially on the new generation agenda – because the extent of their impacts on the smaller economies is yet to be fully understood. While that fear is well placed, the CFTA should lay the groundwork for a work programme that will begin to explore those new generation issues with respect to rules. The irony of the CFTA is that it comes into fruition at a time when the continent is still facing some fundamental challenges among its own Regional Economic Communities (RECs) which include the East African Community (EAC), the Southern African Development Community (SADC) and the Common Market for Eastern Southern Africa (COMESA). Some of the issues – such as rules of origin – will be resolved contemporaneously as countries negotiate the CFTA. *Tinashe Kapuya (Ph.D.) is a trade economist. You can follow him on Twitter at @TinasheKapuya. 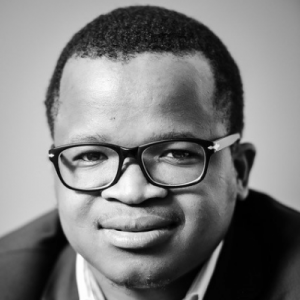 Wandile Sihlobo is an agricultural economist.